We guess this is what Samsung´s lead designer’s wife must have said to him all in one breath … and here we go, we are swimming in these. Coming in all shapes, forms and sizes imaginable, with or without hardware keyboards, smart or not that sharp… what they all have in common is a price tag that not anyone can afford. The harbinger of things to come, the very first “budget” touchscreen phone to have ever hit the shelves was the sweetly named Cookie by LG. 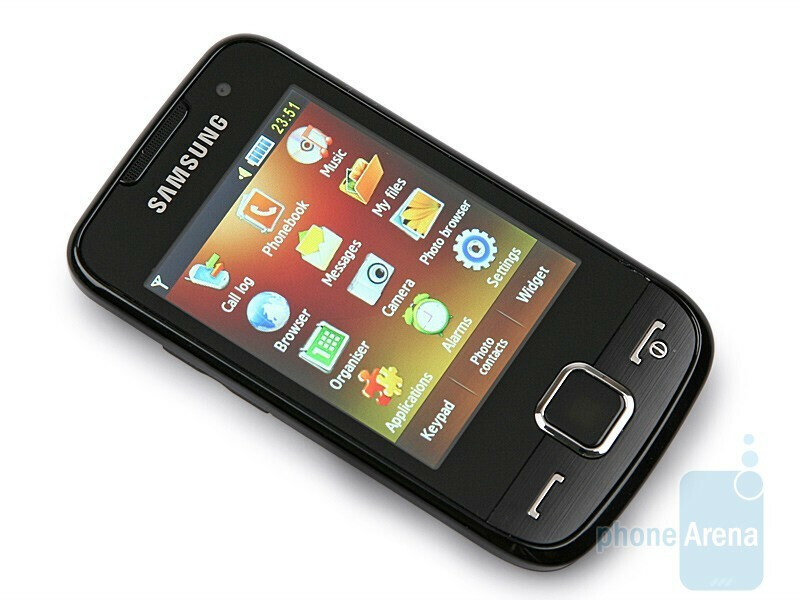 Following suit, the other Korean phone manufacturer was soon to jump on the bandwagon and sink teeth in what was to become quite a lucrative market niche, coming out with not just one but two phones at a fell swoop - the S5600 and the S5230. If you think the S5600 is about to change your views regarding outlook or visual aspects of a phone with a huge touch-screen, well, you are bound to be sorely disappointed. Something tells us that until a technology allowing you to bend and fold the touch-screen has sprung into being to crank up the mainstream market, all touch-screen phones but will remain cast in the same mold. 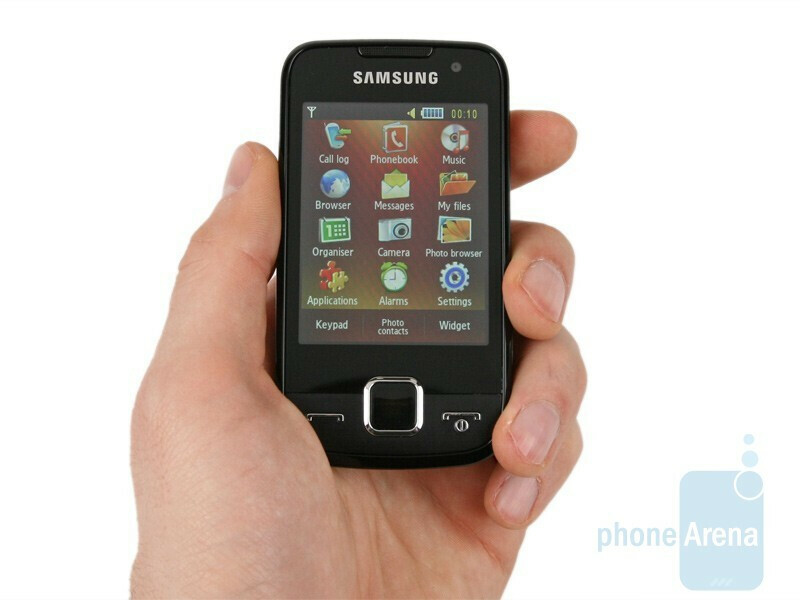 The big 2.8 inch QVGA resolution touch-screen takes up the entire front side of the phone with the send and end keys that lack their specific red/green color located right below. The big button in the middle allows you to go a level back in the interface menus while keeping it pressed for a short time calls up an alphabetical list of shortcuts. What holds the attention is design here, the device is quite small and neat looking alongside of the OMNIA HD (now that´s what we call huge), quite handy and easy to use in one hand. Its back side feels rough and a bit rugged to the touch. 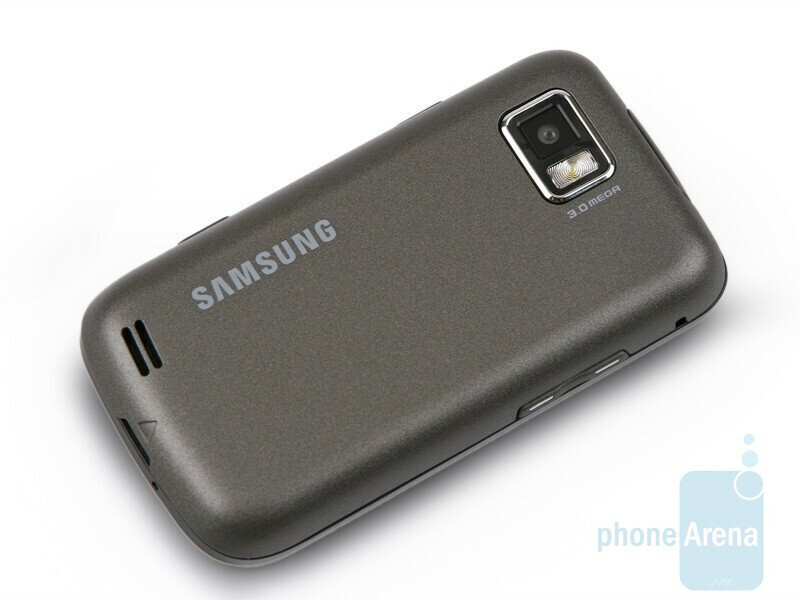 You can compare the Samsung S5600 with many other phones using our Size Visualization Tool. Casting around for what it is that is hidden under the cover? 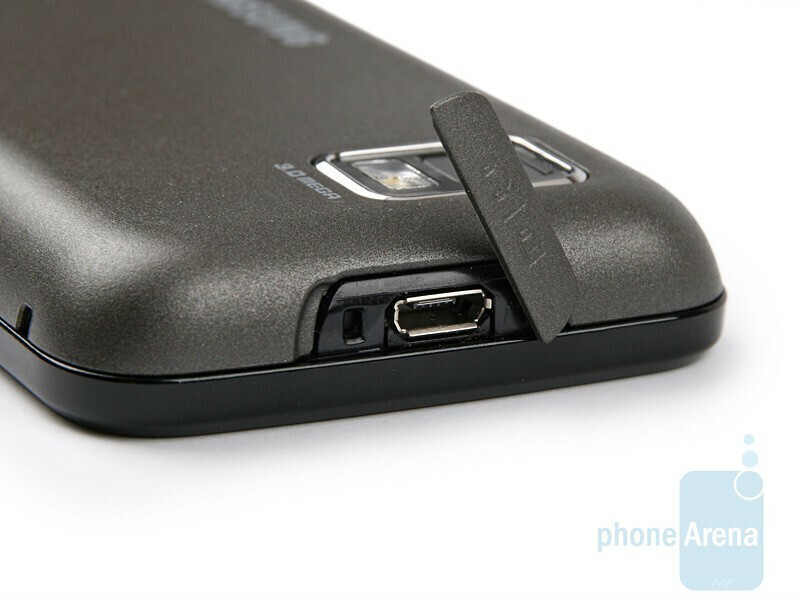 Well, it´s the microUSB slot. Both its left and right hand sides are adorned with fairly standard and nothing really fancy type of buttons – phone lock and camera shutter on its right hand side and a volume rocker on the opposite. We should say we do have a soft spot in our hearts for the phone´s design though. Being neat, moderate and streamlined, looking even a bit minimalist, it goes quite easy on the eye and kind of grows on you, that is to say not that we would be sitting on our hands had the designers come out with a livelier color. It takes some getting used to, erm, learning to live with what may be referred to as quirky designer decisions. What is the fly in the ointment in this case then? 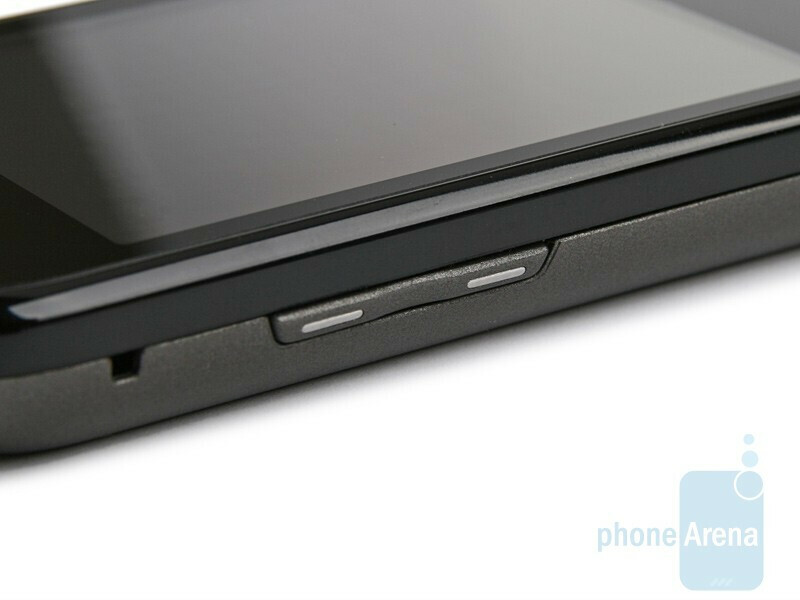 In high hopes of saving you from going over the manual time and time again or alternatively, calling up the customer support, we have a revelation to make - the microSD expansion slot is located nowhere else but right underneath the snugly fitting battery pack. Well, just grin and bear it, right?